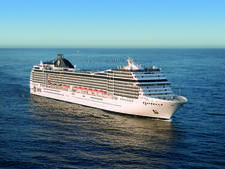 MSC Orchestra, which joined MSC's fleet in 2007, is the line's eighth ship. 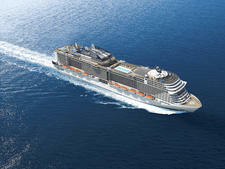 Like MSC Musica, its sister vessel, MSC Orchestra represents an evolutionary new design strategy for the line. 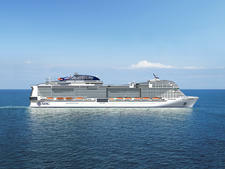 It would be safe to say that with these two new ships (MSC Musica debuted in 2006), the cruise line is definitely ramping up to better compete with other European big ship lines, like Italy's Costa and Spain's Pullmantur. 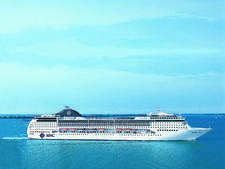 MSC Cruises, which is based in Naples, was conceived with the premise of offering Europeans an affordable cruise vacation -- a concept that was fairly revolutionary in the late 80's and early 90's. 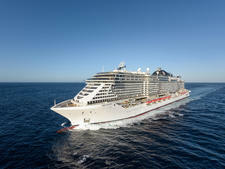 Today, it competes primarily against Genoa-based Costa Cruises. 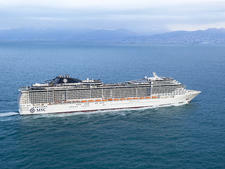 And yet, it's only been building its own ships since 2003 when it introduced the mid-sized MSC Lirica. 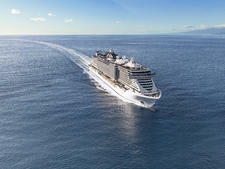 That ship was my first MSC cruise, and it's clear after my recent seven-night voyage on MSC Orchestra -- which is almost twice as big -- that the MSC onboard experience has greatly evolved. First, however, if you don't know what to expect from MSC, I'll fill you in. 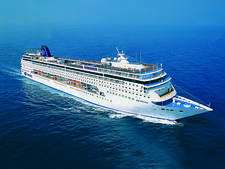 The line has long been praised for its innovative and whimsical entertainment options (and still offers some of cruising's most fun activities), as well as its heavy emphasis on creating an Italian ambience (via crew and restaurants) that is reminiscent of upscale (not to be confused with luxury) hotels in Rome or Milan. 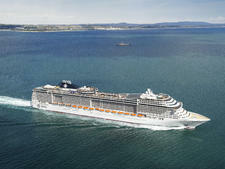 MSC attracts a broad mix of primarily European passengers, and the number of languages spoken onboard reflects the line's wide geographic range (all major announcements are offered in up to six languages, even Japanese). With the introduction of MSC Musica and MSC Orchestra, both measuring 92,409 gross tons and carrying 2,550 passengers (double occupancy), the line firmly into the big-ship, new-ship, moderate-fare game that's long been played by Costa, Royal Caribbean and Carnival, among others. 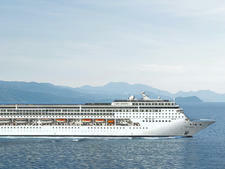 It's interesting to note, however, that MSC does carry more passengers than the others. 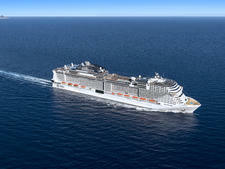 For comparison's sake, Royal Caribbean's Brilliance of the Seas is about the same tonnage -- but carries 450 fewer people. 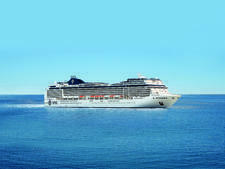 As such, ships are bulging with passengers in certain peak times, such as during European school holidays; MSC Orchestra consistently carried over 3,000 passengers during the summer season. And at peak times, beware: certain shipboard facilities, like the pool deck and buffet restaurant, can be incredibly congested. Of course, one reason why Orchestra's space ratio is less than its competitors is its belief that all -- or at least most -- cabins should be standard size. Thus, there are just 18 mini-suites (and even those are not all that huge at 269 square ft., including balcony). On the plus side, Orchestra's itineraries are quite port intensive, and so passengers are off the ship much of the time, only returning for a bit of relaxing and dining at day's end. 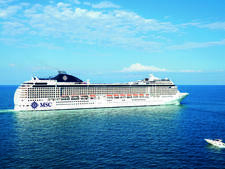 Actually there are a lot of pluses to the MSC experience, as long as you don't mind the crowds. Indeed, English-speaking travelers who prefer a more European experience when cruising in Europe should, in particular, give the line a try. 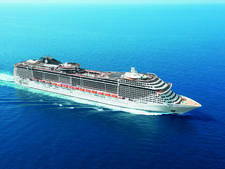 Editor's Note: Because MSC Orchestra is Europe-based, all onboard prices are in euros (go to www.xe.net for latest conversion rates). 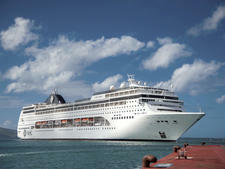 MSC Orchestra is a pan-European ship with its true meaning -- passengers hail primarily from Europe and the U.K. Though on my trip, there were also folks from Asia, America and Canada. Many Orchestra passengers are first-time cruise travelers, and it didn't seem like they understood the dress codes on my trip. There were two formal nights and five casual nights, but passengers often chose to dress up more than necessary during a rather port-intensive itinerary. For men, it's really not necessary to bring a tuxedo, and during the formal evenings, jacket and tie seemed to be more the norm than suits. It's recommended that passengers not wear any jeans, T-shirts, shorts or bare feet after 6 p.m. 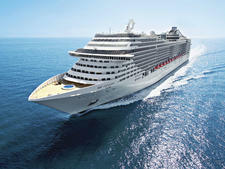 Per person, per day gratuities for adults are: 12 euros for Caribbean cruises and ocean voyages, and 6 euros for Mediterranean and Northern European sailings. Per person, per day gratuities for children are 50 percent less. 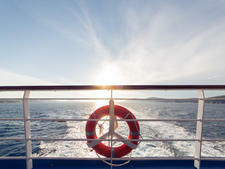 These are automatically added to your onboard account, but you can adjust them at Reception at any point in the cruise. For bar service, there is an automatic 15 percent gratuity.